With the big brothers in school all day, the girls in this house have lots of time for play! One of Abby’s favorite things to do is crafts. With her love for arts and crafts, I feel like she would do craft projects all day long. Sometimes I just let her do free art which means coloring, painting, or drawing whatever her heart desires. But, she also loves to do “projects” so I love to plan a few activities for us to do together. 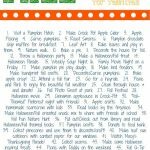 One way for me to be intentional with our craft time is to plan “theme weeks” centered around a certain theme. 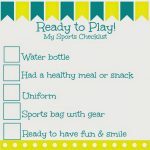 I like to find books, crafts, & activities that are all related to theme. 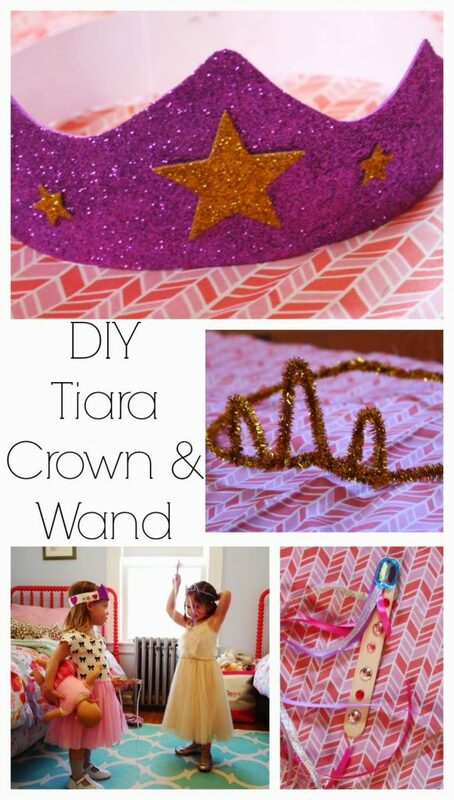 Today, I’m sharing some fun ideas for all things “princess”. 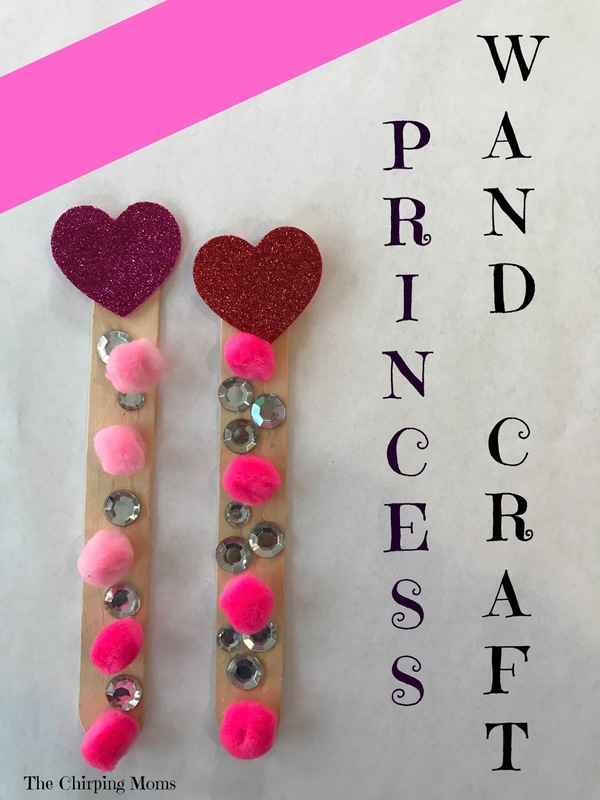 Below, you will find some fun princess crafts and activities, as well some favorite princess book recommendations! 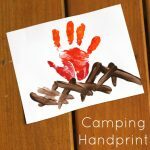 This is a fun craft for little ones! Cut out a circle from a paper plate (or a sturdy piece of paper, such as cardstock). Cut out a smaller circle from aluminum foil. Glue the aluminum foil on the paper plate to make the mirror. Now, it’s time to decorate the mirror. Use rhinestones, stickers, and glitter glue to decorate the mirror. These masks come from the Princess Make-A-Masks kit. Abby had so much fun making her own princess masks. All she had to do was color the mask how she wanted it to look. Then, we just attached the elastic into the small holes that are already punched in the mask. The kit comes with twenty tear off paper masks and pre-cut matching elastics. 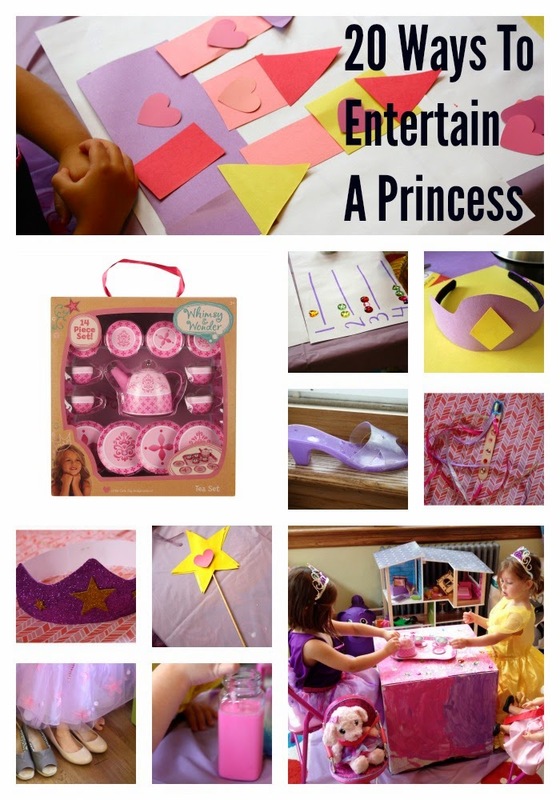 Lots of princess fun for your little one! For more details on these fun crafts, check out one of our old posts here. 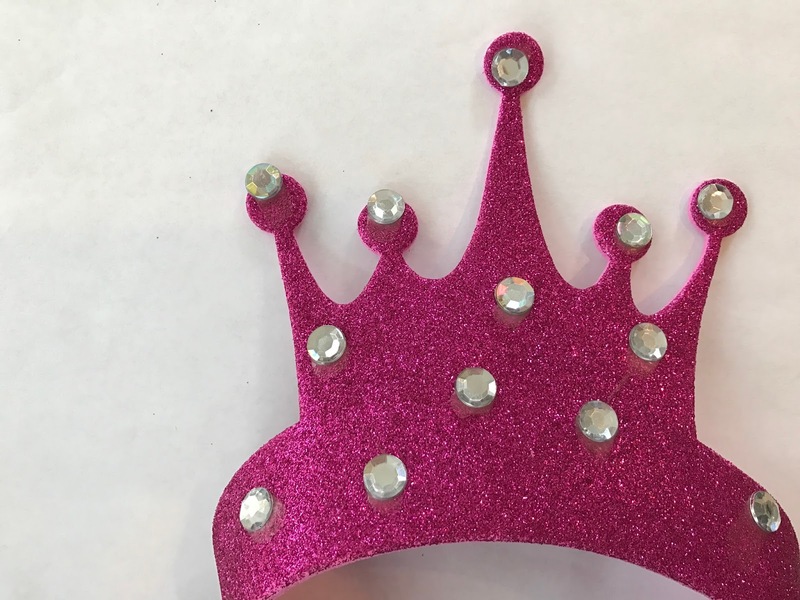 For this craft, I found these fun foam tiara crowns at the craft store. To make the crown a little more sparkly, use some craft glue to add some sparkle rhinestones! Abby loves doing puzzles, so this princess floor puzzle has been perfect for our little princess. 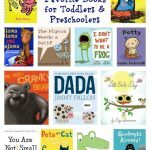 It’s perfect for the preschool age! 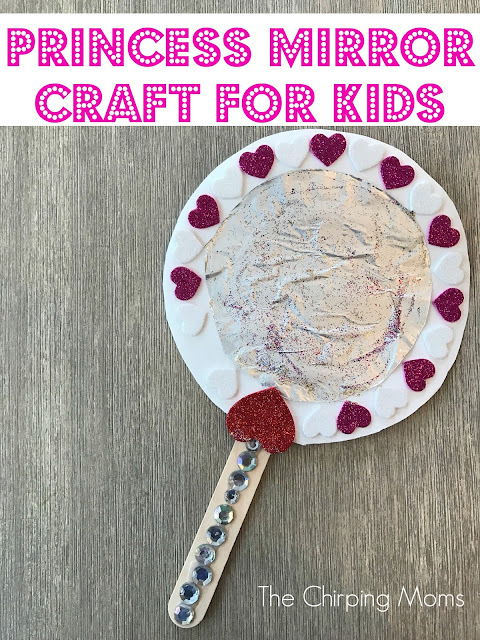 This is another fun and easy craft for kids. All you need is popsicle sticks, pom-poms, rhinestones, and foam stickers. Use the fun accessories to turn your ordinary popsicle stick into a magical princess wand. 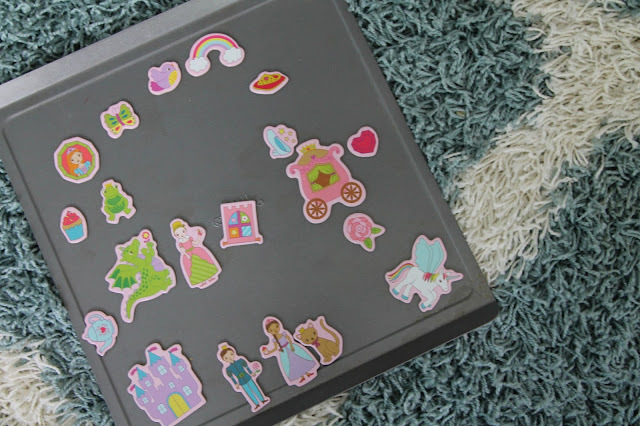 This little box of princess magnets is perfect for keeping your little preschooler busy. I just place all the magnets on the carpet with a cookie sheet so Abby can create her very own little princess story. This is a super easy one to do, but great for kids who are working on patterning skills. All you need is a princess sticker book & paper. Using the stickers, the child will make different patterns! 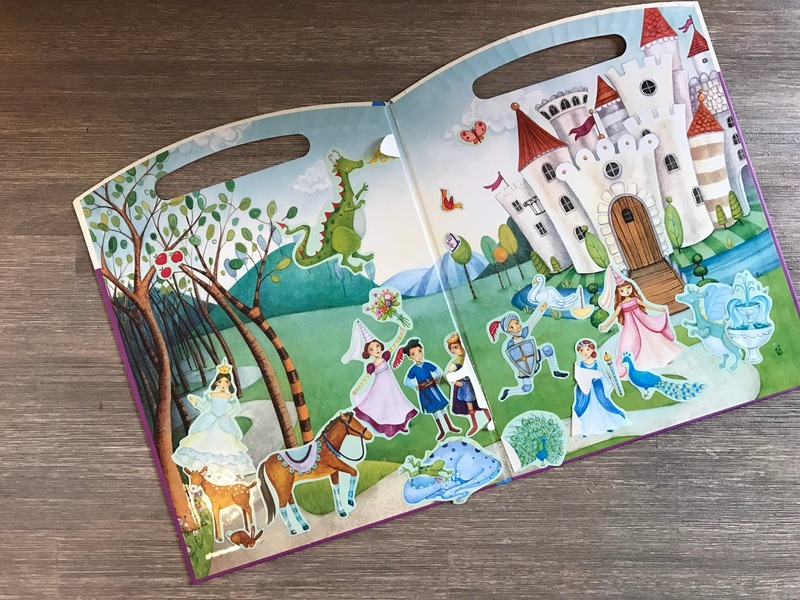 This reusable sticker board is great to have on hand if you have a little princess fan. This is not only for quiet time at home, but also great for travel because it folds flat and the stickers are reusable to play with over and over again. 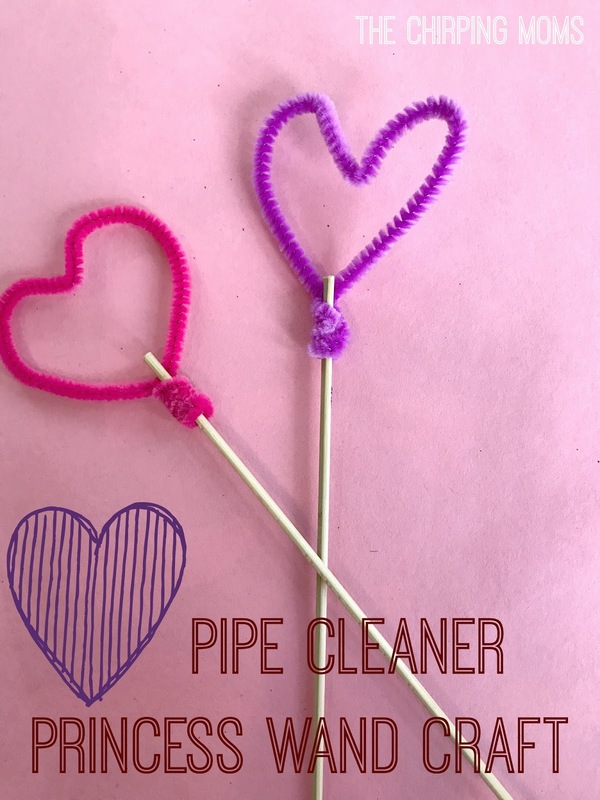 For this craft, I used skewers and pipe cleaners. Cut off the sharp point of the skewer. Wrap the pipe cleaner around one tip and form into a heart. Every princess needs their magical unicorn. 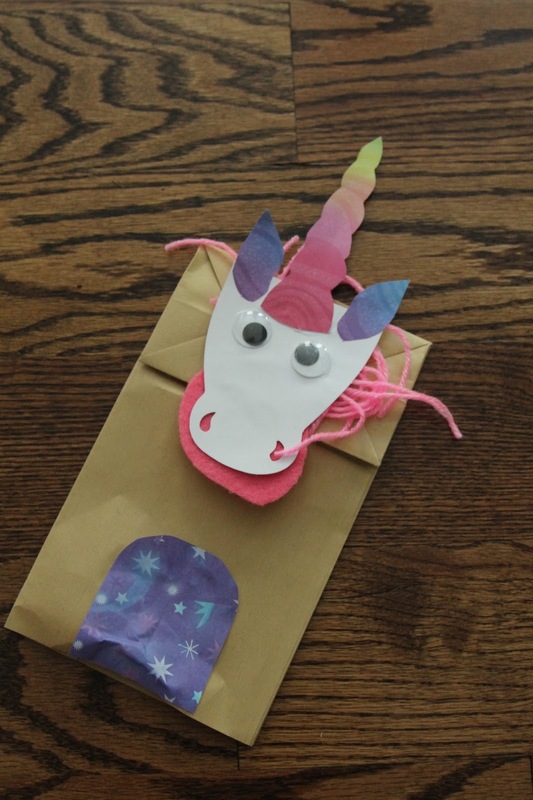 This Magical Unicorns paper bag craft kit is so much fun. The kit comes with everything you need to make several paper bag puppets. Abby loved creating fun unicorns with this craft kit! 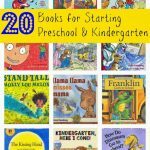 If you are still looking for more ways to entertain your little princess, check out one of our old posts here: 20 More Ways to Entertain a Princess.